Ah, the venerable Port Ellen. The cult favorite, or at least among the whisky obsessed. This 16th release of the infamous Islay whisky is also the oldest ever released. Distilled in 1978, this bottling was drawn from refill American oak hogsheads and refill European oak butts. 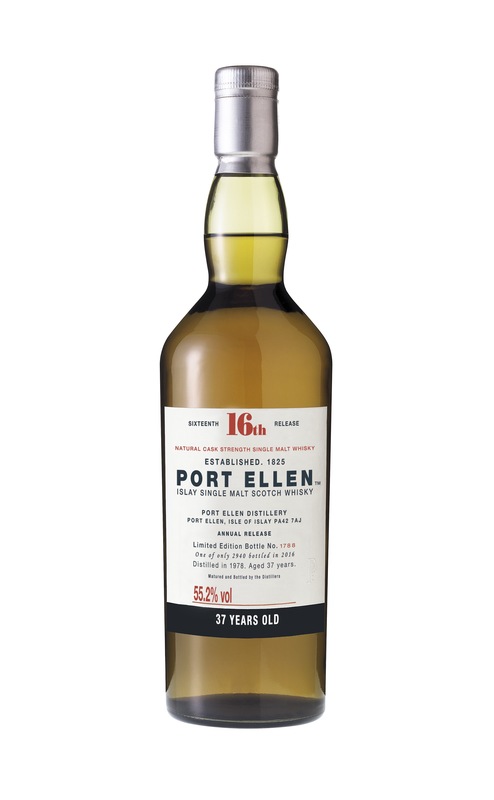 Since the distillery’s shutdown in 1983, we’ve seen a slow but steady trickle of Port Ellen hit the market. But there is only so much left, which partially explains the $4,000 price tag. It took some time (and a few drops of water) for this cask strength whisky (55.2% abv) to open up. When it did, I was greeted by hints of apricot, seaweed, leather, tropical fruit concentrate, peat smoke and carmelized wood sugars. The palate is built on a foundation of sweet peat smoke, but it’s not heavy. Ethereally floating on top are hints of guava, lemon peel, old wood, and vanilla custard, as well as a touch of seaweed and leather (rancio?). The finish is long, leaving hints of light smoke and salted, slightly rotten tropical fruit.